Their Debut CD Is Here! daughter duo Deborajane and Jennifer Governor, will transport you to an intimate cabaret setting, a stage, or a conversation among friends. You'll quickly get to know these two women who have more in common than great voices, good genes and comedic timing. 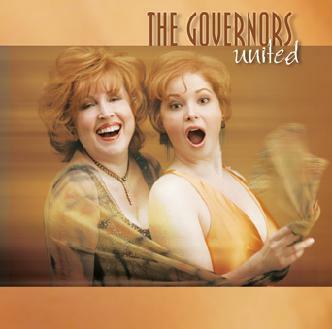 Through a treasure trove of rarely performed songs and popular standards,The Governors sing about universal themes that can be enjoyed by every mother and every child. Released by LML MUSIC, "United" is now available online and at stores nationwide. Buy it today! "They've got the audience vote ... and there'll be plenty of light when this mother-daughter musical duo takes to the stage."